Like many local authority housing blocks we have a recycling bin. We used to have three but two were taken away, with the result that the remaining one is permanently overflowing. 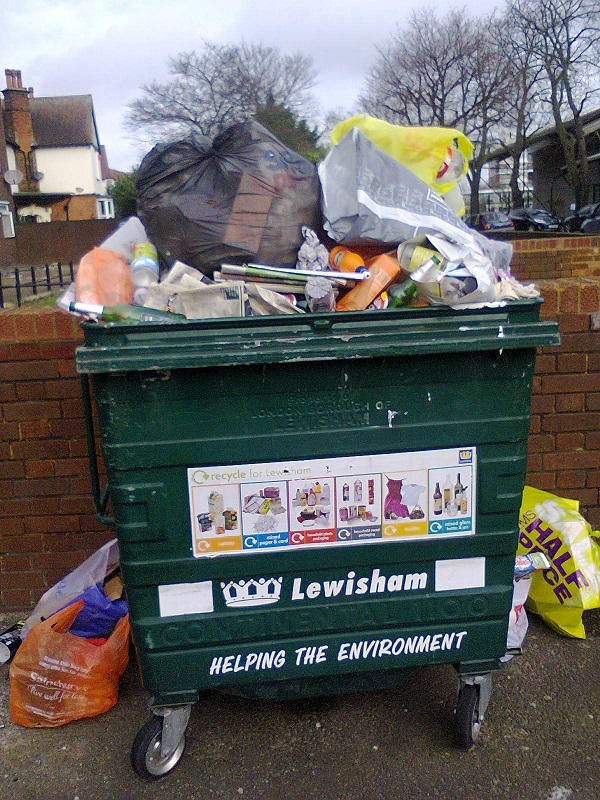 I contacted Lewisham Council’s waste disposal team to point out the problem. I was told that the other two bins were removed because wrong stuff, such as food scraps, was being put in them. I concede that this is a problem but still left me in the position that I have nowhere to put my recycling so it winds up in the general waste which I presume is not what they want. I therefore suggested that they issue me with my own recycling box, which I could put out on collection day.